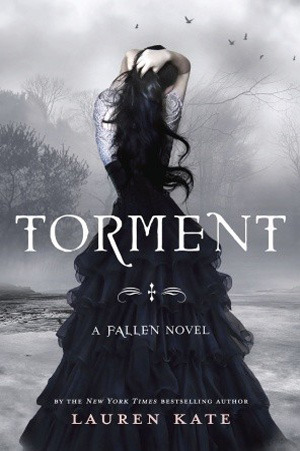 Well, I was gonna say that the good thing about Torment, was that it didn’t take me nearly as long to read it as Fallen did. But then I realized that I skimmed so much of it anyways, it probably doesn’t count. See, theres this problem I have with the Fallen series, and her name is Luce. She is annoying, selfish, whiny, an idiot, a cheater, a fake, and her inner monologue, which takes up SO much of the books, are so hard to get through. And that’s how I felt the entire time I was reading it. I was just trying to get through them. The characters are all back. The worst MC ever, Luce. Her strange boyfriend, who I might like if they had more time together, but as it is, didn’t really impress me. (Though, he is still my favorite character from the series) Cam- who isn’t actually a bad guy now, even though hes a demon?? Molly, Arriane, Roland, and Gabbe- all angels from Fallen. Some new characters as well, Shelby and Miles. And what a surprise… but Luce has the hots for HIM too. That’s right, now, in the last few weeks (maybe 1 month since the start of Fallen) she has been in love with Daniel, who she didn’t know she knew, Cam, who is a demon, and Miles, who is a half angel or something. And of course, the all love her too… Cam and Daniel at least have a reason, they have known her for thousands of years and have cared for her along the way… but Miles? Like dude what do you even see in this chick?? Anyways, that whole Miles thing made this seriously fall below the mark. Like, I get the triangle aspect in YA books right now. You want the angst and drama… blah blah. That’s fine. But don’t add another new guy into the mix. Now all I think of Luce is that she is shallow, ridiculous, and all those little adjectives I said earlier. Like, you love Daniel so much, but youre gonna kiss another boy… in each freakin book. Like… wtf? Not an endearing quality. So… that’s my rant. I think the concept for this series is good. (which is basically the same concept for sooo many out there.) but this book did not do it for me. At all. Im considering just reading the last few chapter of Rapture, so that I finally get some answers and know how the story ends. But, since I already have the 3rd book too, Im still gonna read it. And like I said in my review for Fallen, ill hope the next book is better than this one. BLOG HOP signups for a Virtual Book Tour of HOPE, the second book in The Descendant Trilogy! Email me if you want a free copy in exchange for an honest review!! I completely agree. The premise is good, but Luce is a silly character who spoils it all. Hope is Available and Power is Free!! TOMORROW is Release day for HOPE ! One WEEK until HOPE releases!